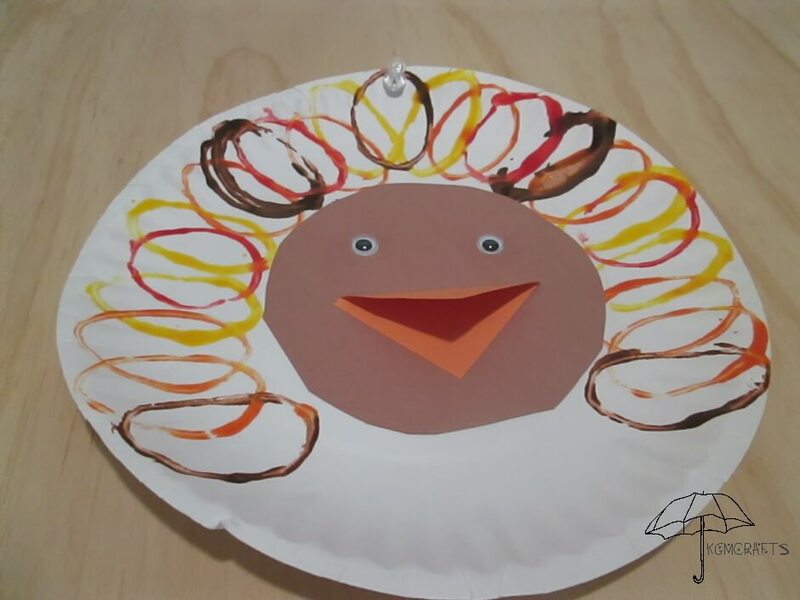 With preschool Thanksgiving crafts your child can help decorate the house. The projects will also help develop skills. It is always good to do plenty of fun and interesting projects that will help develop hand and eye coordination, cutting skills, and fine motor control. 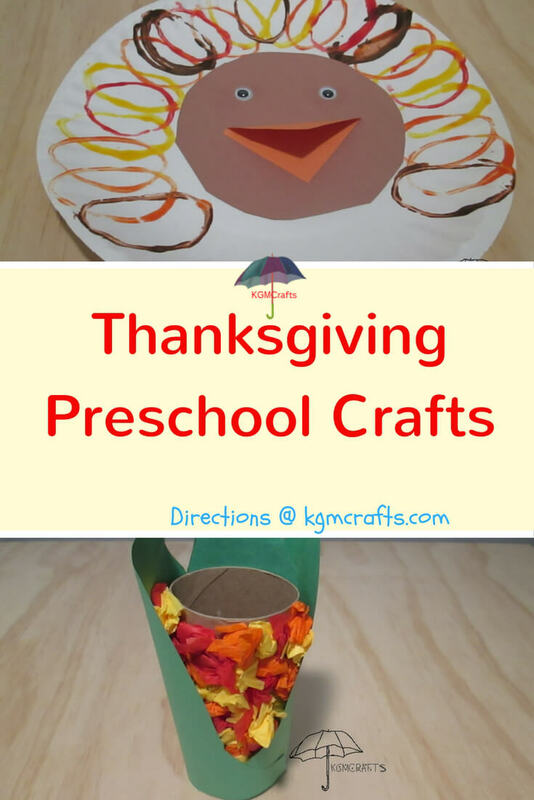 The pictures below are links that will take you to the preschool Thanksgiving crafts that are on this page. 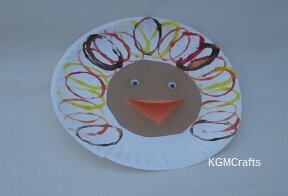 Your preschoolers can make a turkey using paint and toilet rolls. 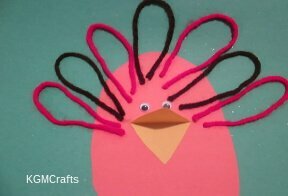 With this fun project your child will practice fine motor control, eye hand coordination, and patterning. Lightly press toilet rolls so that they make an oval shape. 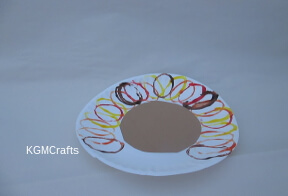 Pour fall colored paint on paper plates. I placed two colors on each plate. Dip toilet roll in the puddle of paint getting the end wet. 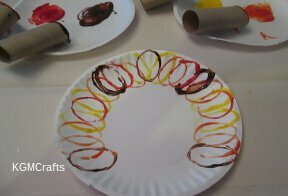 Use to make a painted oval on a paper plate. Let the paint dry overnight. Cut a 4 1/2 inch circle from brown paper. Also cut a 2 inch square out of orange paper. Fold the orange square on the diagonal. 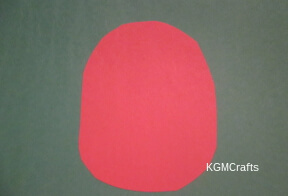 After the paint is dry glue, the circle to the center of the paper plate. 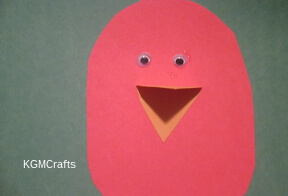 Glue the orange paper on the circle for the beak. Glue on wiggly eyes. Our make eyes out of black paper. Now your creation is ready to hang on the wall. Learning to cut with scissors is an important skill. 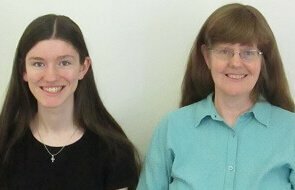 It takes lot of practice before a child is proficient in it. They have to learn how to hold the scissors and have enough hand strength. 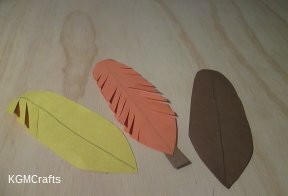 Draw feather shapes (an oval with a pointed end) on different colored construction paper. Draw a line down the center of the feather on both sides. Cut out the shapes. Have the child make an angle cuts to the center line. Turn the feather and cut the other side. Glue to a paper headband if your child wants. 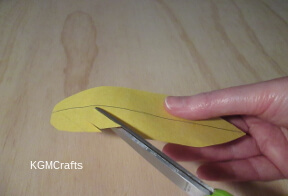 To stiffen the feather, so that it doesn’t flop so much, glue on a thin strip of construction paper. 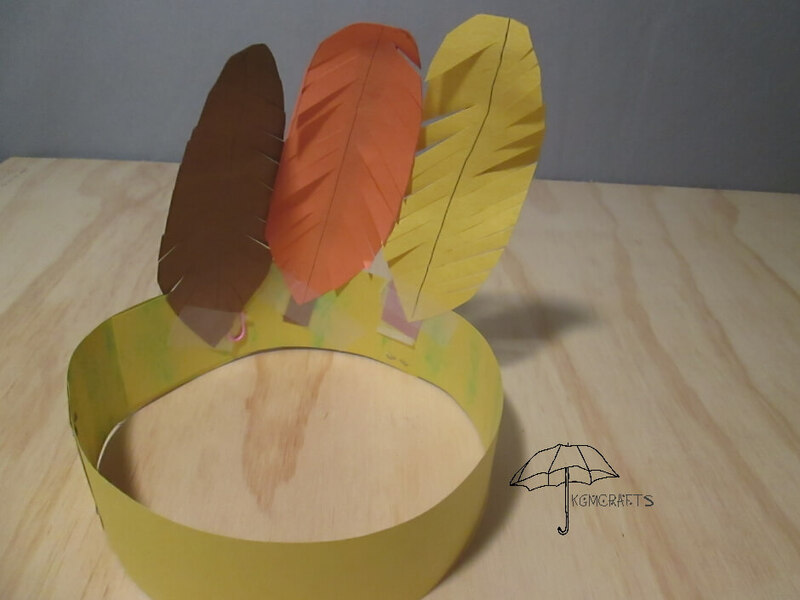 With this thanksgiving preschool craft your child will practice patterning. With two colors he can learn a simple AB pattern. 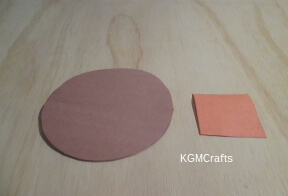 Cut a 4 1/2 by 3 1/4 inches oval out of orange paper and glue on your backdrop with a glue stick. This will be your turkey’s body. 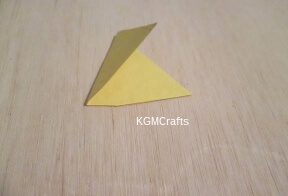 Fold a small piece of yellow paper and cut a triangle 1 by 1 inches. Glue the beak with a glue stick to the turkey’s body. With white glue, glue on the wiggly eyes above the beak. 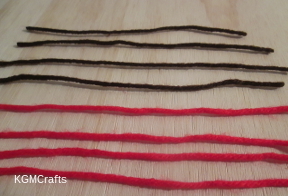 Glue the yarn with white glue folding it into a feather shape. Let dry then hang on a wall for Thanksgiving. 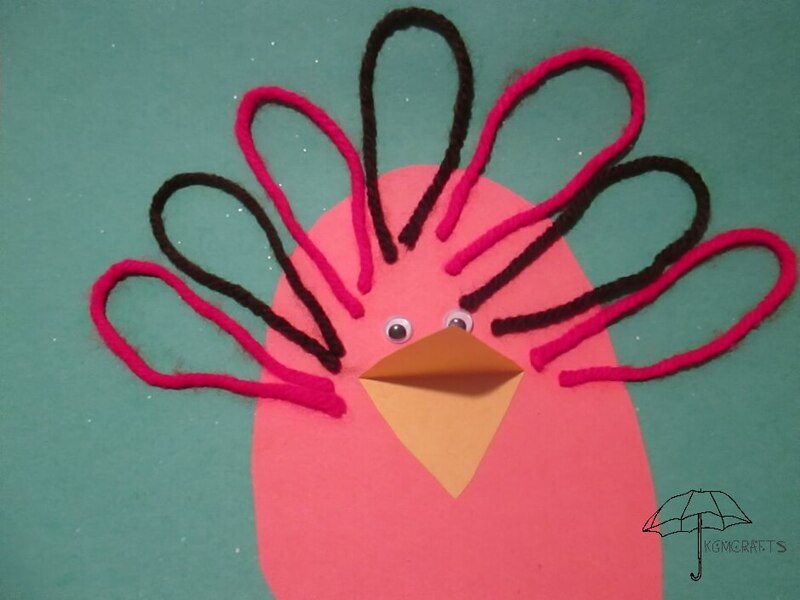 Besides cutting and gluing skills this preschool Thanksgiving craft can develop find motor control. The tissue paper needs to be made into balls by pinching and crumbling. 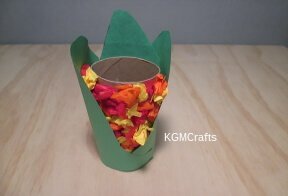 Cut tissue paper into small pieces about one inch square. 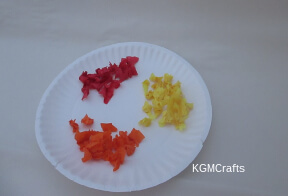 If you use crape paper (party streamers) give your child a strip and he can cut the strip into smaller pieces. 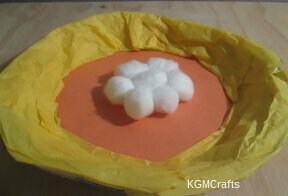 Roll the tissue paper into small balls. 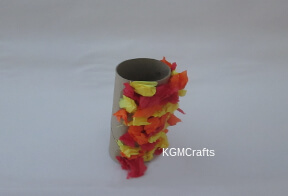 Glue the tissue balls on the toilet roll in a random order. You do not need to go all the way around the roll. 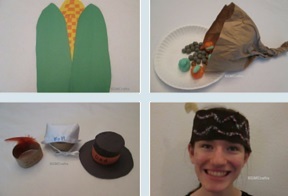 Make a corn husk pattern. Cut a rectangle 5 3/4 inches by 1 1/2 inches. Make a point on one end like an arrow. This will be the back piece. 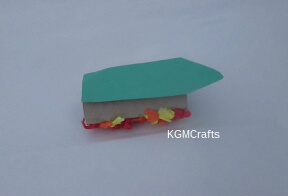 For the sides you will need a 7 1/2inch by 5 1/2 inch rectangle fold in half. 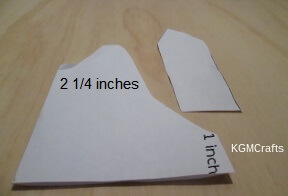 Start 1 inch from the edge and make a curved line so that the side measures 2 1/4 inches from the fold. Make a rounded point at the top. Cut straight across to the fold. 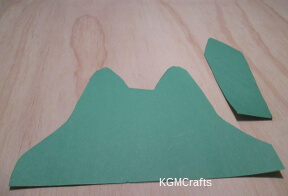 Cut out and trace on green construction paper. Cut out. Glue the oval piece to the back of the toilet roll. Glue the larger piece around the toilet roll. Wouldn’t these look cute sitting on your holiday table? 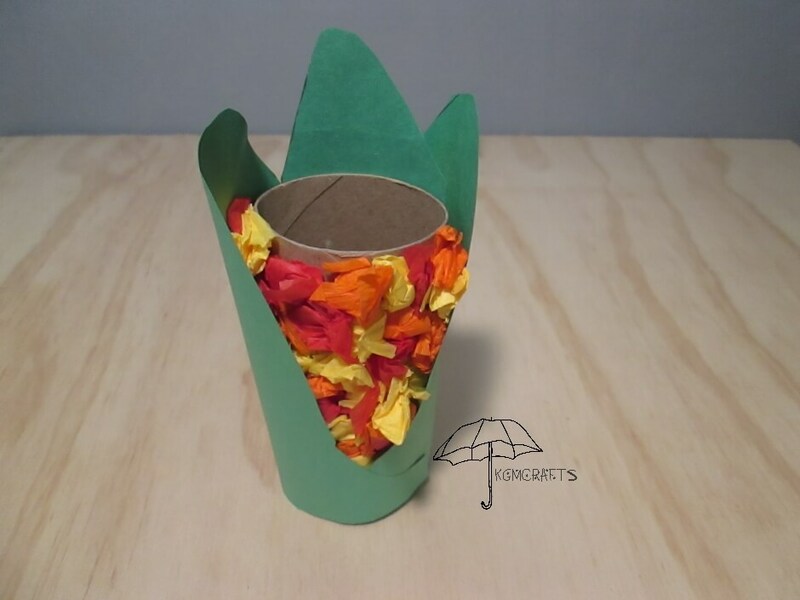 This is a great sensory project. It uses several different items with different textures. The foil pan is shiny, the tissue paper is transparent and the construction paper is opaque. The cotton balls are soft. 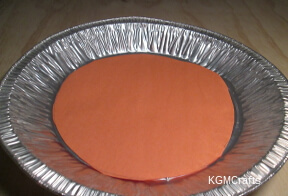 Trace the bottom of your pie pan on orange paper. 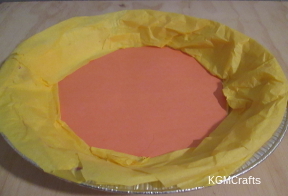 Cut out the circle and glue in the inside of the pie pan. Cut two strips of yellow tissue paper one being 17 1/2 by 8 inches and the other being 14 1/4 by 8 inches. Fold them so they are 3 inches in width. Glue around the rim of the pie pan. 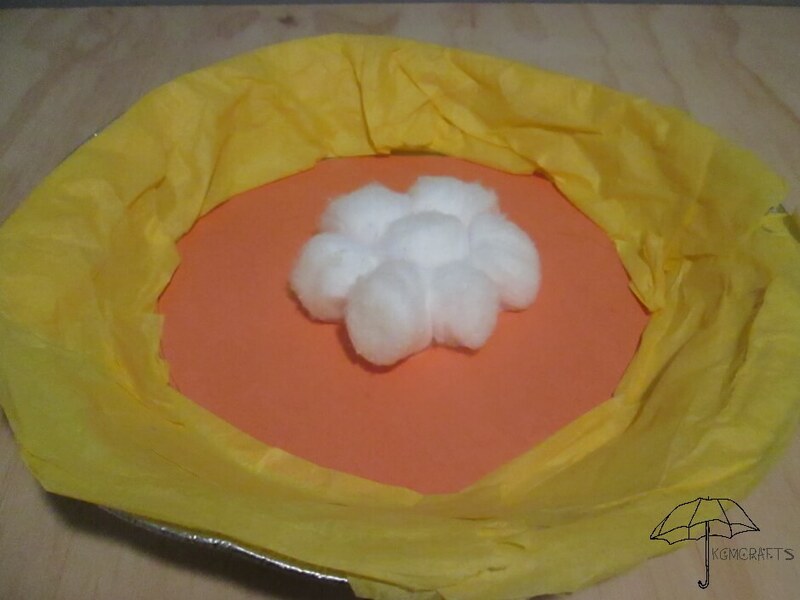 With white glue, glue 7 cotton balls in the center for whiped cream. You won’t be able to eat this pie for real but you could have a pretend pumpkin pie desert with your kids. 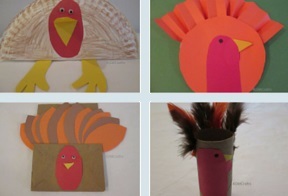 With Thanksgiving preschool crafts your kids will have fun practicing important learning skills. They will also help you prepare your home for the Holiday.